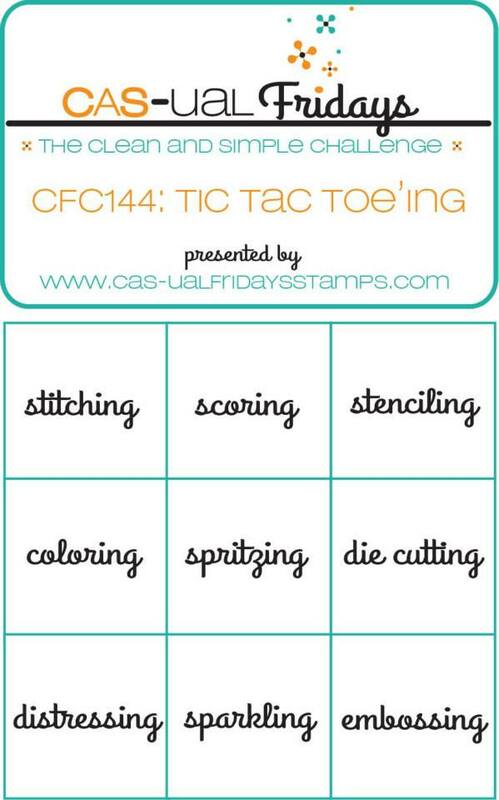 Time for another Clean and Simple Challenge over at CAS-ual Fridays. Do you fancy a bit of Tic Tac Toe-ing? Choose any row - vertical, horizontal or diagonal - and use all three techniques on your project. I opted for stenciling, die cutting and embossing. And I got to play with new stuff! Check out this new Autumn Blessings set with matching dies. How cute is that acorn? 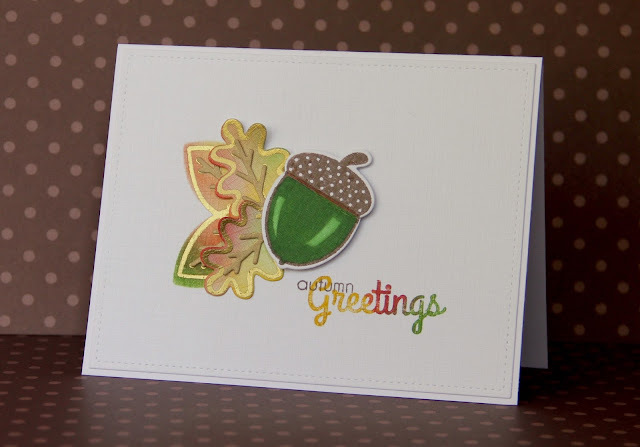 I die cut one of the leaves and used it to stencil a couple of leaves with distress inks, directly on to the card. I then die cut a couple of the oak leaves, inked them and heat embossed them all with gold embossing powder. The acorn is also a die cut, stamped and coloured with Copics and Spectrum Noir markers. You have until October 30 to link up your projects. Fancy a more layered look? Then why not link up to the CAS-ual Chic Challenge for your chance to win a $20.00 gift certificate at the CAS-ual Fridays store. This is so cute!! Love the touch of gold and rainbow effect on the Greetings! How funny, I think we all chose the same row!! This is such a clever card. I love the multi coloured sentiment and using the leaf die-cut negatives for stencils is such a cool idea. And the colouring of your acorn is amazing, especially the highlighting. Spectacular card! !